GOKPOP | Exclusive K-News in Malaysia & Singapore: Get Ready to experience Hwangnamguan Hanok Village in Gyeongju! Get Ready to experience Hwangnamguan Hanok Village in Gyeongju! Last weekend, we went on an exciting 2 Days 1 Night Gyeongju trip and stayed at Hwangnamguan Hanok Village. 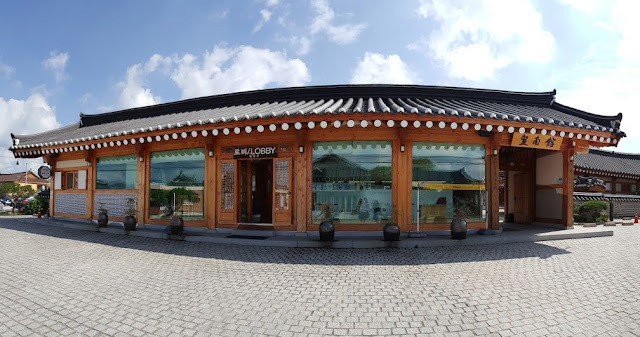 Unlike the normal hotel or guesthouse, Hwangnamguan Hanok Village provides services such as bicycle rental, free Hanbok experience and a corner set up for Korea traditional games. 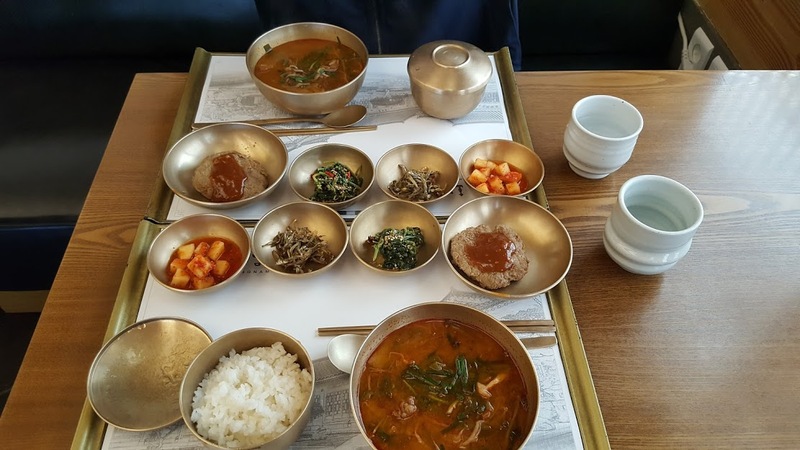 What excited was the Hanjung-sik breakfast that was provided. 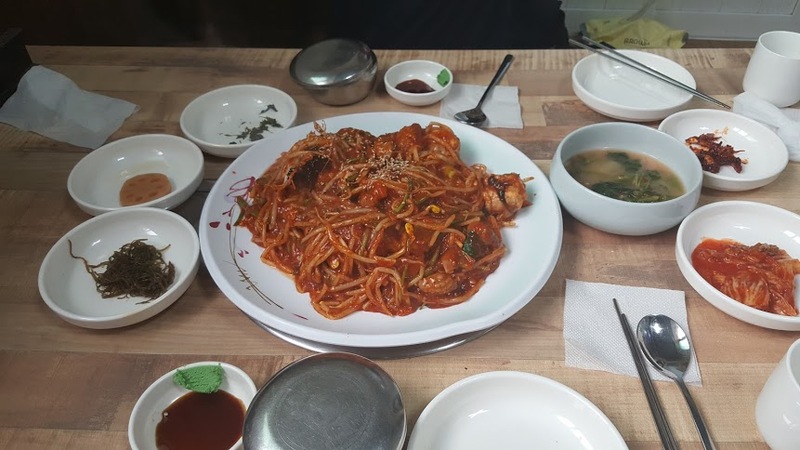 If you preferred a heavy breakfast, do try this delicious breakfast at 10,000won (around RM35) at Cattle & Bee cafe which located at Hwangnamguan Hanok Village's back door. As we travelled during Chuseok (Mid-Autumn Festival), Hwangnamguan Hanok Village has become the top choice for family and solo traveller. 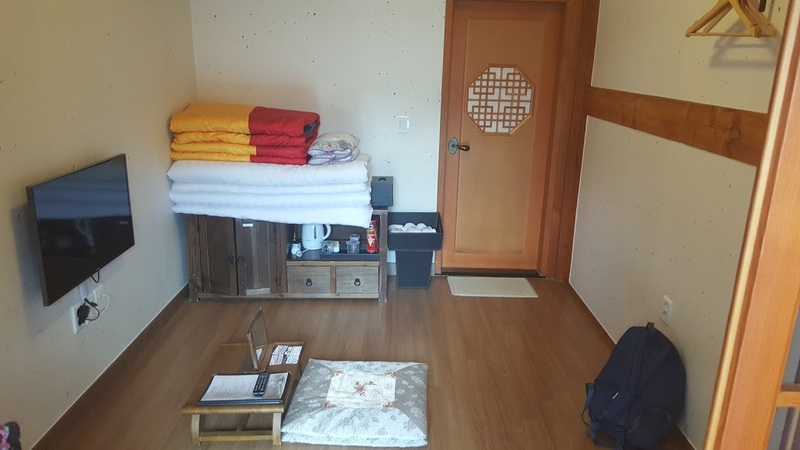 The popularity itself isn't so surprising as travellers are increasingly choosing hanok for their short trip or actual accommodation. (ps: do make your reservation earlier, if you visit the hanok during the public holiday or Korea festival). Hwangnamguan Hanok Village has an indescribable charm which is more than a simple beauty. The mixture of contemporary and traditional design perfectly in tune with this historical city, Gyeongju. Getting off from Gyeongju Bus Terminal, we walked for 30mins to Hwangnamguan Hanok Village. 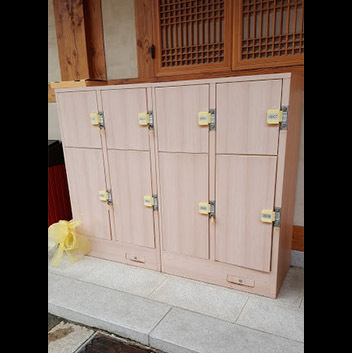 Of course, if you have heavy luggage, you may take a taxi or ride a bus to the hanok stay. The bus station is located right opposite the bus terminal. Right after, we went out to hunt for great lunch. Kakao Map became our best friend throughout our stay in Gyeongju. With the app, we can easily search the top restaurants or attractions nearby. But sadly, we did not manage to have lunch at any of the top rated restaurants as there were all FULLY BOOKED thanks to this hit season, Chuseok holiday. We have no choice and headed to a restaurant that able to fit two of us and had Agujjim (아구찜), also known as the spicy monkfish with soybean sprouts. After the lunch, we headed back to Hwangnamguan Hanok Village to check-in. The check-in progress was quick and we were given a discount coupon of Cattle & Bee cafe and also a coupon for our breakfast. (ps: the breakfast is only available for 8.30am - 9.00am) Staff was friendly and attentive but with limited English was spoken. 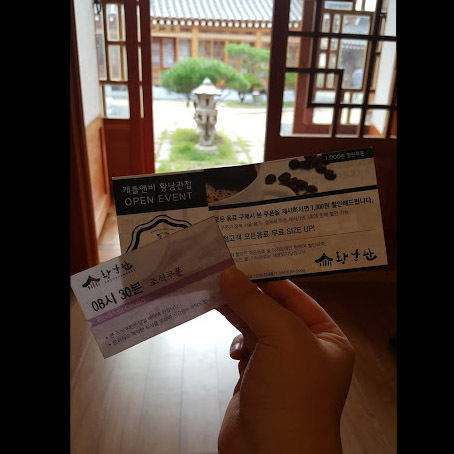 Thanks to Safe Stay Korea, we had a safe yet convenient stay at Hwangnamguan Hanok Village which surrounding by restaurants and attractions. As mentioned in our previous post, Safe Stay Korea provides a list of the safe guesthouse, hanok and hostel in Korea that is verified by Korea Tourism Organisation (KTO). You can now easily make the reservation by searching the listed stay at Safe Stay Korea blog and worry-free when travelling in Korea. How to book Hwangnamguan Hanok Village? If you could read in Korean, you may log into Hwangnamguan Hanok Village official website (the website is available in both English and Korean) and make the reservation there. You can also easily make the reservation via a phone call, we actually called them to check on the room availability and booked a room for 2 people. We will be sharing our exciting Gyeongju trip in our next post!